In a flagrant violation of law, Maricopa County Elections Director Karen Osborn insisted on conducting a partial hand count audit before the precinct results were made public. The audit was implemented by Arizona state lawmakers and was intended for the public to check the accuracy of the precinct results once they are disclosed. Jim March, the elections observer serving on behalf of the Libertarian Party, walked out of Maricopa’s Elections Division once he had confirmed that the precinct totals were not disclosed to the public at the time that precincts were being selected for audit. 1. Order Maricopa County to make public the vote totals from all the districts. 2. Order Maricopa County to re-select precincts by lot that will be hand counted. 3. Order Maricopa County to hand count the precincts so selected before certifying the election results. Sunlight is a great disinfectant, but it’s cloudy and raining over the Arizona election desert. In the few hours since t r u t h o u t ran my article on transparency and hacking problems with vote scanning machines in Arizona, two events occurred demonstrating a continued preference to attack accusers rather than the problem. 1. Federal observers, led by US Attorney General Eric Holder be dispatched to Arizona county tabulation and polling centres from the moment ‘vote by mail’ balloting begins until a final count is determined. 3. Governor Jan Brewer and state Attorney General Terry Goddard should support and order all counties across the state to scrap these electronic systems and get the vote count right, even if the final outcome is not known until the next day or even later. At stake is the state’s Congressional delegation, 1 Senator and its Chief Executive for the next four years. The voters of Arizona need to know their vote will be counted. • Jim March, an election observer in heavily Republican Maricopa County releasing a declaration to be attached to today’s plaintiff request for default judgement in the Maricopa County voter plaintiff Mandamus case before Judge Oberbillig showing the growing fraud potential brewing in the vote count. ‘Oh what a day this has been’ was a chosen season ending episode title of two Aaron Sorkin television series where calamity struck. There is long way to go to ensure accuracy of votes machine-counted in the two counties responsible for counting 75% of all Arizona ballots. 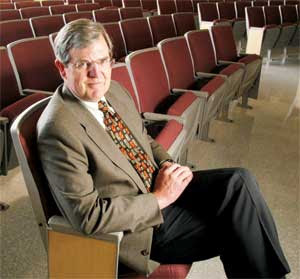 Jim March, an election technology expert who has advised AUDIT AZ and worked with vote count activist groups across the USA, observed a spurious series of unconnected network cables and the lack of independent, outside observation of vote count central tabulation computers. This is a scenario primed for central computer misdeeds, is clearly against Arizona law and when informed, county officials merely shrugged and threatened him with expulsion. March goes on to further assert: “I explained that what I was seeing was a connection between the central tabulator (also known as an “Election Management System” or “EMS”) and the general internet, and that per my understanding of AZ law via statute and the Secretary of State’s current edition of the state-standard election processing manual (May 2010), this cross-connection is illegal. He shrugged. I asked him to look and see what was happening; he refused saying he “couldn’t get involved”. The implication is Republican controlled vote counting in Maricopa County can be hacked right there at the main tabulation source. Yes, I’m a Democrat and a proud one at that, but 1st I’m an American, who believes in justice over politics. Many others and I are working hard to protect the vote with very little help from you sir. I read your email that referenced me and the need for all hands to be on deck to elect Terry Goddard. I intend to vote for Terry Goddard and I hope other Arizonans also vote for him. Brewer is a disaster. On the other hand I would feel better if you would reveal that Goddard has a secret deal that they won’t cheat in counting his votes or in counting any other Arizona elections. I’ve attached my report that I sent to members of the Democratic Party state committee. Please let me know how a rigged election can be challenged. Maybe Vince Rabago, or another candidate would need your plan. 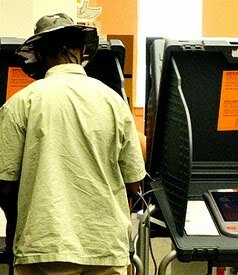 Are Arizona’s Political Leaders Deliberately Blocking Electronic Voting Machine Transparency? “It’s difficult to get people to admit to felonies, especially election officials,” says Bill Risner, the attorney for the Democratic Party who recently revealed that 30% of the poll tapes in the 2006 RTA election are missing. Risner compares the people who are creating affidavits now to Robbie Evans, the election worker for Pima County who provided testimony in the electronic records trial. Robbie Evans distinguishes himself by having a clear recollection of this incident in his deposition and in the trial. “Cuvelier’s testimony is that she doesn’t recall the specific incident.” Her affidavit also comes with a blanket declaration that she has never received summary reports before 8:01 in the evening. According to Risner, Evans has no axe to grind and puts his position at risk by providing such testimony at trial. Huckelberry’s characterization of Evans’ statements as “completely inaccurate” is also a misleading stretch of the truth. If that were the case, you would think those County lawyers would have raked him over the coals at trial. That didn’t happen. This raises another question. If Evan’s testimony is false, why were there no repercussions or challenges of Evan’s account? So who are we supposed to believe? Two people who have been prompted or pressured to sign affidavits in which they deny that they have committed felonies, or an elections worker who provided his recollection of an incident, despite potential risks to his employment? Huckelberry complains about how such recollections of the past affect the credibility of the elections department. He shouldn’t rely on the bliss of ignorance to allay suspicion. That’s the sort of support he has come to expect at the Tucson Weekly and the Arizona Daily Star. Not here. A group of diverse individuals including Libertarian gubernatorial candidate Barry Hess, former Republican state Senator Karen Johnson, and voting activist John Brakey are suing Maricopa County Recorder Helen Purcell, alleging that Maricopa County Elections is involved in various voting shenanigans. Their claim, which you can read in its entirety, here, was filed this Monday in Maricopa County Superior Court, and asks for injunctive relief and court costs. Judge John Hannah has been assigned the case, but so far no hearing dates have been scheduled. The petition for an injunction makes several specific allegations against Maricopa County Elections. It alleges that the county has not ordered pollworkers to sign the results tapes, the printouts of the electronic tally captured by the optical scanners the county uses to count ballots.The claim also states that observers are not allowed into the ballot tabulating center’s computer room. Plaintiffs further allege that county elections officials are communicating voting results over the Internet, that observers are not allowed to inspect and photograph the physical results tapes (another name for “poll tapes”) after the polls close, that the poll tapes are not being placed into secure envelopes, that elections officials are not segregating the vote count by category, and that only one person is transporting ballot material after the polls close, instead of two, as is required. Colleen Connor, assistant general counsel with the county’s litigation office, said that the claims in the complaint were inaccurate, and based on information gleaned from the 2006 and 2008 elections. Connor went point by point over the allegations. She said the county does segregate vote totals in its final canvass of the results, which is then sent to the Board of Supervisors. She sent me a sample of the canvass from 2006 showing this. The information is available through a public records request, but the county does not post the entire canvass online. Pollworkers are being instructed to sign the poll tapes, Connor said. And ballot material will be transported by at least two individuals. 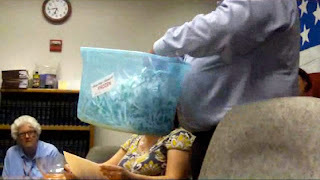 She stated that the poll tapes are placed in secure, sealed envelopes, and that observers are allowed to look at and photograph these results tapes, but they would only be allowed to do so one hour after the polls close, to comply with state law regarding the release of election results. As for the most troubling allegation concerning the transmission of electronic results through the Internet, Connor described how memory packs from the Sequoia-manufactured voting machines are taken to one of 22 receiving sites and read by a laptop. She said the information is then sent over an analog phone line using Sequoia’s software, and that the information is password encrypted. 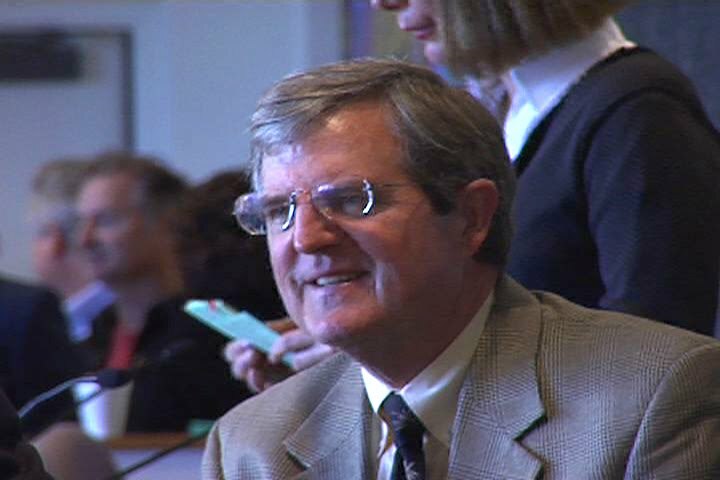 Black Box Voting‘s Jim March, one of the plaintiffs’ investigators, contested this, saying that a temp staffer from the 2008 election told him that the county had software for a cellular modem on at least one of the county’s 2008 laptops. Referring to access to the computer room, March complained that he cannot properly observe what’s going on in the room through its window. He said that he was once yelled at for attempting to use a pair of binoculars to watch what was going on inside. Asked why they waited until just days before the primary to file their suit, plaintiff John Brakey said he and March were only recently asked to be observers for the Libertarian Party in the upcoming elections, and then began their digging. One intersting aside concerns the Sequoia touch voting screens. There’s one at each polling place, and they are used mainly by folks with impaired vision. Apparently, these machines can be hacked. 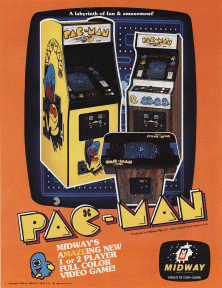 In fact, a couple of university professors went so far as to demonstrate that they could even play Pac-Man on the machine. They do admit it took them a couple of afternoons to make this happen. However, March says the machines could be hacked within a matter of minutes. Connor countered that there are bar code seals on the touch voting machines to prevent tampering. In the 2006 general election, there were 303 touch screen votes recorded out of a total of about 900,000 votes cast. In the 2008 general election, 165 voters used the touch screen devices, out of more than a million votes cast. Brakey said their concerns about the touch screens were not in the lawsuit because the issue involves such a small percentage of total votes cast. Considering the fact that the primary is this Tuesday, August 24, it seems unlikely that Brakey, March and the others will get their day in court before that. But if they do, I’ll let you know what happens. 1) Arizona Election Law requires poll workers to sign poll tapes at the conclusion of the ballot count. Maricopa Elections has removed the signature line and changed the pollworker manual to remove instructions for poll workers to sign the poll tapes printed by the precinct electronic voting machines. 2) Maricopa Elections Dept. has prevented properly credentialed party observers from observing the central tabulator systems. 3) Maricopa Elections Dept. has been connecting to and distributing election data over the Internet, in violation of Arizona law. 4) Maricopa Elections Dept uses uncertified software on the certified voting systems. These are listed in AZ law specifically as felonies. 5) Maricopa County blocks the public from knowing the vote totals at the precinct, instructing poll workers to withhold results and prevents any observers from photographing the machine totals. This is in open violation of Arizona law. Pinal County, just south of Maricopa, posts their vote totals (or result totals) on the outside of the polling house door. Why does Maricopa hide these results? 6) Maricopa County ordered their poll workers for all recent elections not to place the poll tapes produced by the electronic voting machines (“results tapes” that should, by law, be signed) into the sealed “official returns envelope”. This sealed envelope is to be preserved in case of a challenge. 7) Maricopa Elections Dept. orders their poll workers to return critical ballot materials (the “memory cartridge” electronic ballot boxes) from the polling places at the end of election day with one person only. Arizona law requires two persons to be assigned this task, one from each party. 8) Maricopa Elections Dept reports election results, combining mail-in, precinct and provisional votes. It is easier to tamper with election results either by the precinct or mail-in votes. Tampering with both to make them more or less equivalent in terms of the percentage of fraud is difficult. If a candidate or issue wins a large majority in one type of voting and loses in the other, it’s a strong indicator of election tampering. Maricopa County combines all distinguished parts of the data into one total to avoid detection of these disparities. These problems “interlock” to form a net aggregate that ultimately effects the outcome of the election. This scheme allows for one or two discrepancies to be found, with the follow up excuse, “Yes, this was wrong, but it didn’t effect the outcome of the election.” If observers aren’t allowed to see the precinct data on election night (5) or afterwards (8), and are blocked from seeing what goes on at the central tabulator (2) when it gets there on systems connected to the internet (3) on unknown, untested and illegal software (4) and the one reliable record available of precinct results isn’t signed (1) or put in a sealed bag for later review (6), then it’s not a credible election. In our opinion, all of this activity is illegal and we will make that argument in court. 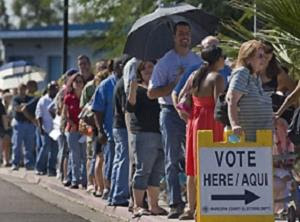 The state of Arizona is the most difficult state in which a recount can occur. Recounts are automatically generated only when there is a one tenth of one percent or smaller difference in election totals. Florida is the only other state comes close to this standard, and Florida recounts are still easier to obtain. In Arizona, a candidate challenge is impossible, even if the candidate pays for it. This is a recipe for un-auditable election fraud. A pattern is emerging in Arizona elections. In the case of Maricopa Legislative District 20 (Sept 2004), Elections Director Karen Osborn testified that an 18% error rate on optical scanning machines was within the accepted error rate for those machines. This same election fiasco resulted in ballots being confiscated by the FBI. Unfortunately, the FBI refused to properly investigate this case. Regarding the Pima County legal battle over the disputed RTA Election, a court ordered examination of the stored poll tapes from the RTA election of May 2006 showed that a third of the poll tapes were missing. Maricopa County Elections is responsible for counting 56% of the total votes of the state of Arizona and could easily swing election results for the statewide election. We are a group of concerned citizens from five Arizona counties, who have requested (as individuals) an emergency hearing to ask the court provide remedy for these violations of the law before the upcoming election on the 24th of August. This Special Action Relief request asks for an expedited hearing to ensure that the upcoming election will follow election law with accurate results in this upcoming election and all future elections in the state of Arizona. Pima County wants to start counting Early Ballots August 18th! That is 7 days before the election. This a very bad idea. From the litigation and their own records we learned that they have a long tradition of peeking into the “who’s winning and losing” by illegally printing the election results report. Of the data before every election from 2004 to 2006 (when we busted them) based on their own system’s audit logs. They were doing it before then based on eyewitness testimony in court, but the log system didn’t track it back then. This data is incredibly valuable, both politically and financially. It can be used as a “Zogby poll from hell”, far more accurate and detailed than any big-bucks polling system and therefore also very useful if you need to know how much fraud to do before each election. The plaintiff case seeks to illustrate for the judge that the elections division is unworthy of public trust, is marked by maladministration, persistent errors of judgment, and flaws and neglect in their security procedures. The purpose of Robbie Evans testimony is to give the judge specific reasons why the public interest would be better served by public scrutiny of those records that would allow confirmation of the integrity of the election process than by keeping those records confidential. One consistent theme in the testimony is that summary reports, which contain current vote totals, were frequently printed before elections were closed and handled somewhat casually. Another consistent theme was Bryan Crane’s practice of taking home computer data backups for the remarkably consistent purpose of protecting the data should the building burn down. This in spite the presence of the fire-proof safe in the computer room. More than 400 New Yorkers crowded into the Marco Polo Marina on 23 rd Street at the FDR Drive last night for a sunset cruise around Manhattan to support the U.S. Boat to Gaza. The boat, named The Audacity of Hope, will sail under the U.S. flag as part of a new international Freedom Flotilla whose organizers are vowing to break the siege of Gaza this fall. 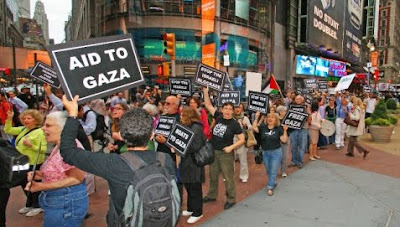 Ranging in age from 18 to 89, supporters from around New York and as far away as Hawaii heard prominent journalists, actors, musicians, poets, and survivors of past flotillas express feelings of urgency about the situation in Gaza and distress at their own country’s role in it. Jane Hirschmann, an organizer of the U.S. Boat to Gaza, emphasized the significance of sending a U.S. boat as part of the next flotilla: We in the United States participate in this siege whether we know it or not, because the U.S. gives over three billion dollars a year to Israel, most of which is military aid. We need to say a resounding No! to U.S. complicity in the Israeli occupation of Palestine and the siege of Gaza, she said. Interest in the venture has been overwhelming, and the capacity crowd on tonight’s cruise is indicative of a new surge of popular support for a change in U.S. policy toward Israel/Palestine. Speaker Ann Wright, a former deputy ambassador to Afghanistan and retired U.S. Army Lieutenant Colonel, was a participant in the most recent flotilla this past May when Israeli armed forces killed nine passengers as Israeli soldiers rappelled down from a helicopter onto the deck of the Turkish ship, the Mavi Marmara. Wright spoke about the importance of continued international efforts to break the blockade and specifically of the need for a U.S. boat as part of the next flotilla. The effort to send a U.S. boat to break the blockade also comes in the aftermath of Operation Cast Lead, a massive Israeli military attack in December 2008 January 2009, which resulted in the deaths of over 1400 people in Gaza, most of them civilians, and exacerbated a dire humanitarian crisis there. An extensive and detailed list of human rights violations and possible war crimes were documented as part of the UN investigation that produced the Goldstone Report. After vilifying the Report and its lead author, Justice Richard Goldstone, Israel has recently admitted that many of its findings were in fact accurate as determined by an internal investigation. Concern for the humanitarian situation in Gaza was on the minds of many aboard tonight’s New York City cruise. Joel Bitar, another organizer, explained, Despite Israeli government propaganda to the contrary, the siege of Gaza is ongoing. Though the Israeli government is allowing a few more goods into Gaza in the wake of the May 31 attack, the Palestinians of Gaza are still prevented from coming and going. They can’t sell their goods, they don’t control their air space, their electricity or their water, and they have been unable to rebuild all the homes, schools, hospitals, police stations and other essential structures destroyed by the Israelis in the winter of 2009. She added, They are living, as British Prime Minister David Cameron said last week, in a prison camp. The U.S. Boat to Gaza is part of the larger international movement to achieve justice and freedom for the Palestinian people. As nonviolent protests against Israeli government policies, including the vast expansion of settlements in the West Bank and East Jerusalem, are held regularly in the Occupied Palestinian Territory, and as the Palestinian-initiated non-violent campaign for boycott, divestment and sanctions against Israel grows in international support, the U.S. Boat to Gaza joins the growing global movement to end the Israeli siege of Gaza and its illegal occupation of Palestine. 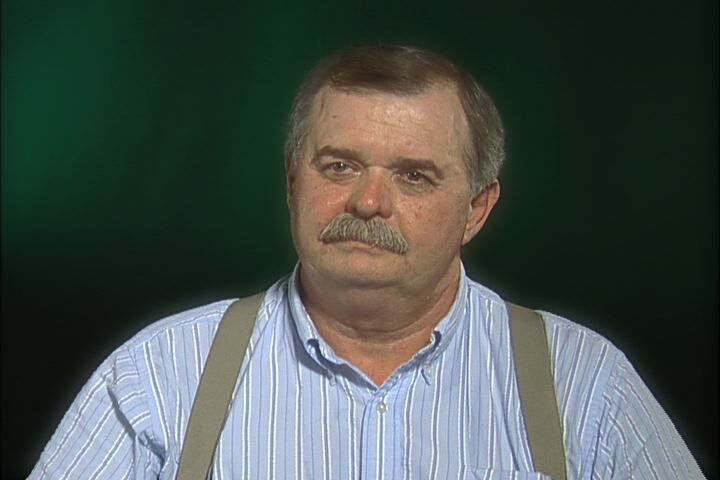 Anatoly Sagalevich has added his voice to the latest controversy over the BP ecological catastrophe in the Gulf of Mexico. This expert from the Russian Academy of Science was called to the Gulf by BP shortly after the Deepwater Horizon rig collapsed. And what he has to say is not very reassuring. Dr. Sagalevich’s report was drawn up and presented to Prime Minister Vladimir Putin. In this report, the investigator from the Shirshov Institute of Oceanology and the Russian Academy of Science has stated that the ocean floor has been irreparably damaged and that the planet must prepare for an ecological disaster “beyond all understanding”. The reason why Dr. Sagalevich was called by BP is because he is the leading world expert in deepwater exploration, having been awarded the order of Lenin for the creation of the submersibles MIR-1 and MIR-2, which are capable of diving to a depth of 6 km, the deepest-reaching submarines in the world. For Dr. Sagalevich, the oil pouring into the Gulf is not just coming from one source, as the media have been claiming, but fro 18 different places. According to the report, the Russian scientists called by the USA are forbidden to divulge their findings to the media – yet another source backing up the claim that there is a media blackout. According to a report in Komsomolskaya Pravda, Russian experts are pressing the Americans to use a nuclear explosion to extinguish the well, before it destroys the Atlantic Ocean. The USSR apparently used nuclear explosions five times (being successful on four of these occasions) to extinguish problematic oil and gas deposits between 1966 and 1981. For Dr. Sagalevich, the problem facing the Obama administration as regards using a nuclear explosion to seal the well has more to do with the effects on the continued exploration of oil in the Gulf of Mexico than the environmental impact of the Deepwater disaster. Russian scientists are also warning against the use of the poisonous dispersing agents by BP against the oil, due to the fact that this falls elsewhere as acid rain and is destroying all the plant life it comes into contact with.